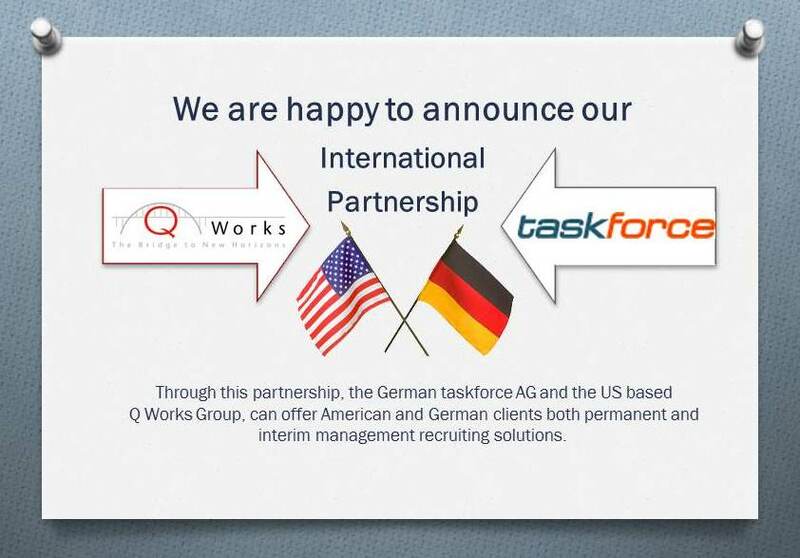 Q Works Group has formed an exclusive, strategic partnership with taskforce – Management on Demand AG (www.taskforce.net), Germany’s leading interim executive placement firm. The new affiliation creates an international resource for interim, project and permanent C-suite recruiting. Since its founding in 2002, Q Works has been a sought-after resource for national and international companies seeking to build a professional, skilled workforce with targeted recruiting services. Q Works focuses on automotive, consumer durables, commercial products, industrial products and automation industries, similar as taskforce in Europe. 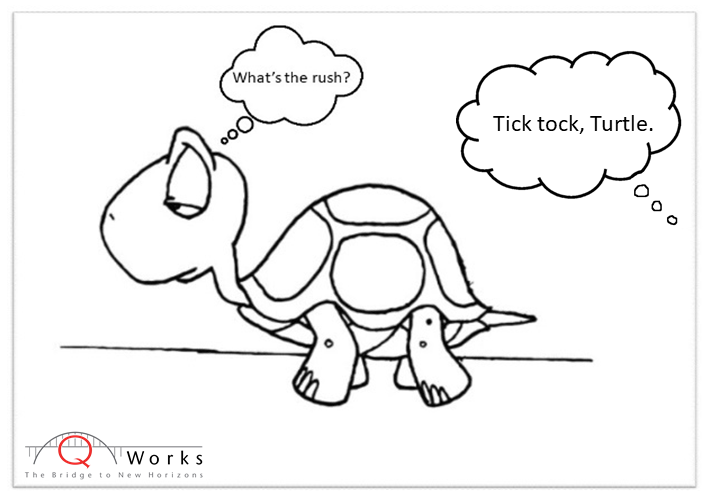 Among its services, Q Works offers executive searches; needs analysis and candidate profiles; candidate searching and screening; recommendations and interview preparation, and hiring and post-placement services. For U.S. companies with existing or planned subsidiaries in Germany, Q Works will serve as the initial contact, and taskforce will provide fulfillment services, including sourcing, recruiting and placing executives. For German companies with existing or planned subsidiaries in the U.S., taskforce will be the initial contact, and Q Works will provide fulfillment. The partnership creates the opportunity for Q Works to build on its success and expand into interim management recruiting, while also enabling the team to focus on its distinguishing service: cultural coaching. 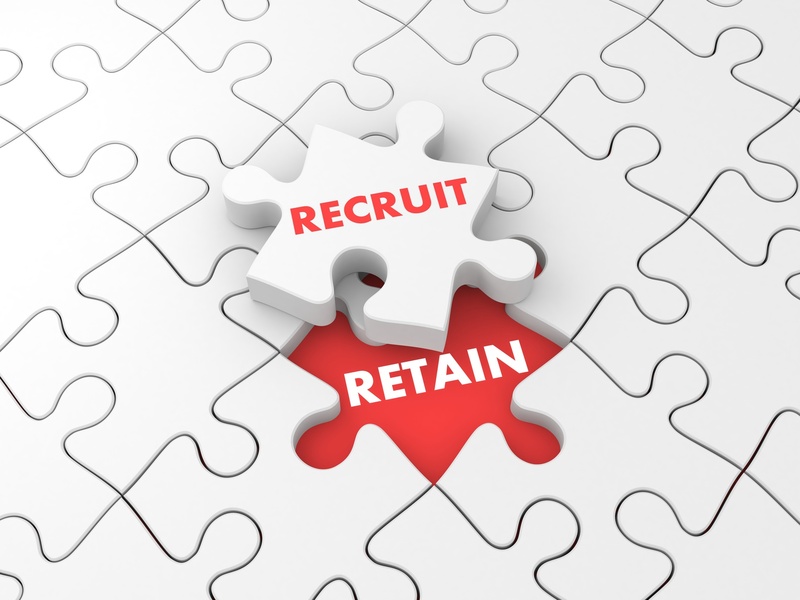 To learn more about project, interim and permanent C-suite recruiting, please visit www.qworksgroup.com. 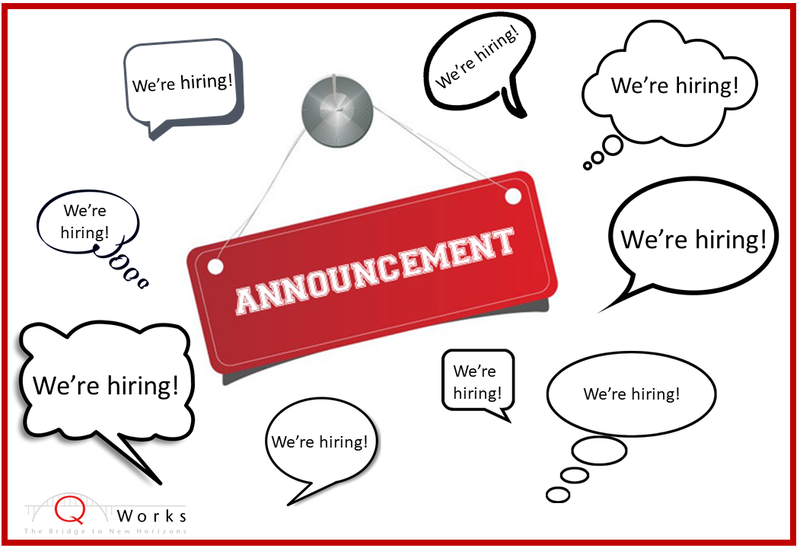 About Q Works Group: The Q Works Group is a Charlotte-area executive recruiting firm that specializes in the placement of qualified professionals in the consumer durables and industrial products industries. Founded in 2002, Q Works assists national and international companies in building a professional, skilled workforce with targeted recruiting services. About taskforce – Management on Demand AG: taskforce is Germany’s leading partnership for line management and project/ program management in professional interim management. Interim managers from taskforce AG take on operational responsibility for temporary tasks and strategic projects as line managers or project managers in client companies.